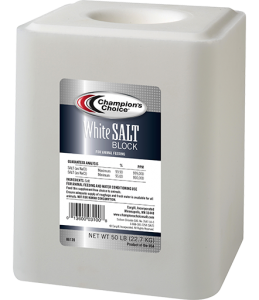 How much salt does my horse need? Under normal conditions, horses require 2 ounces of salt per head per day. 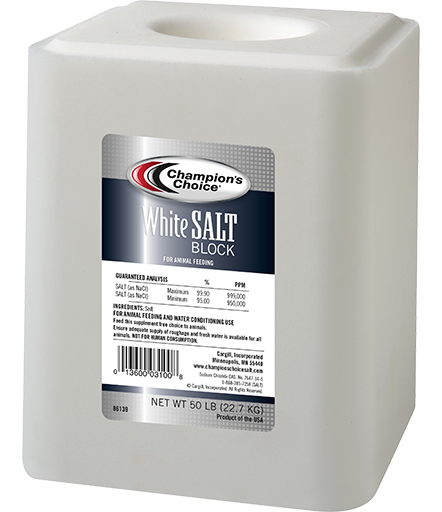 Under hot and humid conditions or with an increase in exercise, horses may require 4-6 ounces of salt per head per day. Lack of salt during heavy exercise can contribute to performance and health problems. Horses must also consume adequate water when they are consuming the extra salt. Unless a horse has been salt-starved, they will normally not overconsume salt. For those horses that are salt-deprived, they will consume salt in excess for a few days until their body is balanced again. Make sure during this time, horses have an adequate supply of water. What are the symptoms of salt deficiency in horses? If horses are not receiving the proper amounts of salt, they may develop unusual eating habits like consuming dirt or chewing on tool handles, trees, board fences or another animal’s mane or tail. They may also have rough hair coats.